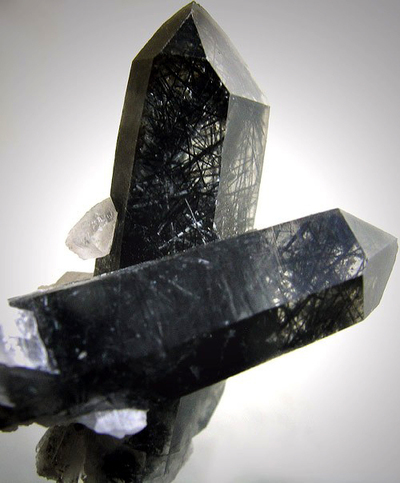 Tourmalinated Quartz: Mineral information, data and localities. 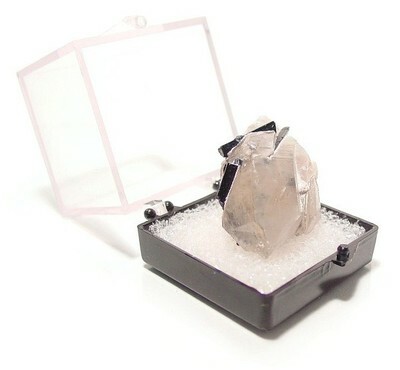 Visit gemdat.org for gemological information about Tourmalinated Quartz. Schorl 1 photo of Tourmalinated Quartz associated with Schorl on mindat.org. Laurano, A. F., Jr. (1991) Rainbow mine (Juan Diego) case files, 1988 thru 1991: unpublished. San Diego Mining Company (1998), Anita mine field analysis, Jan.
Kunz, G. F. 1905. Gems, jeweler's materials, and ornamental stones of California. California State Mining Bureau Bulletin 37: p. 21, 122-123, 171 p.
Schaller, W. T. 1916. Mineral Resources of the United States, Gems and Precious Stones, 1915, Part II. Department of the Interior, Geological Survey: (pgs. 843-858); Minerals enclosed in quartz, p. 852; December 11th. San Diego Mining Company, 1998. Gobla, M.J. (2012) Montana Mineral Locality Index. Rocks & Minerals 87:3, 208-240. Seward, Josiah Lafayette (1921): A history of the town of Sullivan, New Hampshire, 1777-1917, Volume 1.